DirtFirst Racer Andy Lagzdins finished second at Round 2 of the Kenda Full Gas Sprint Enduro Series at CJ Raceway in West Virginia. 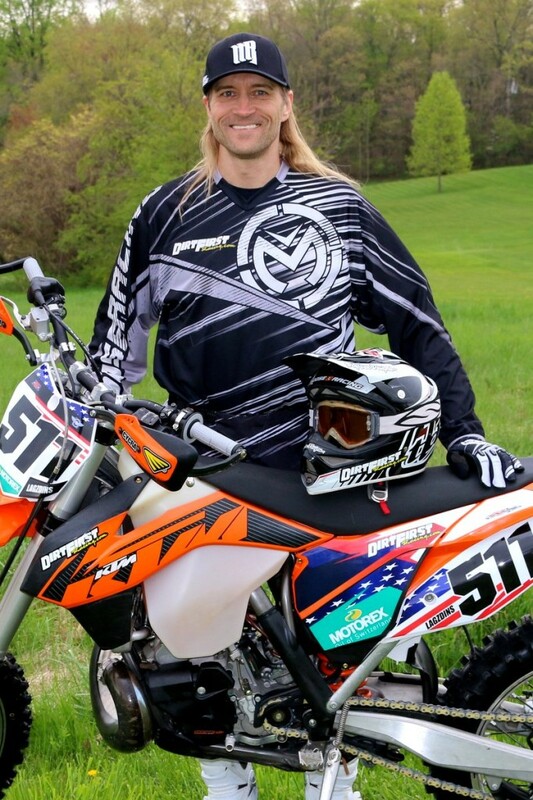 This is big step toward Lagzdins being chosen for the U.S. Senior AMA Team to contest this year’s International Six Day Enduro in Slovakia as this race also served as the AMA East Coast ISDE Qualifier round. “What a great weekend of racing, it feels good to get back to my roots in the East Coast terrain. The format is different but fun,” said Lagzdins, who is a veteran of the GNCC, OMA, and ECEA Enduro series but now living in Southern California. 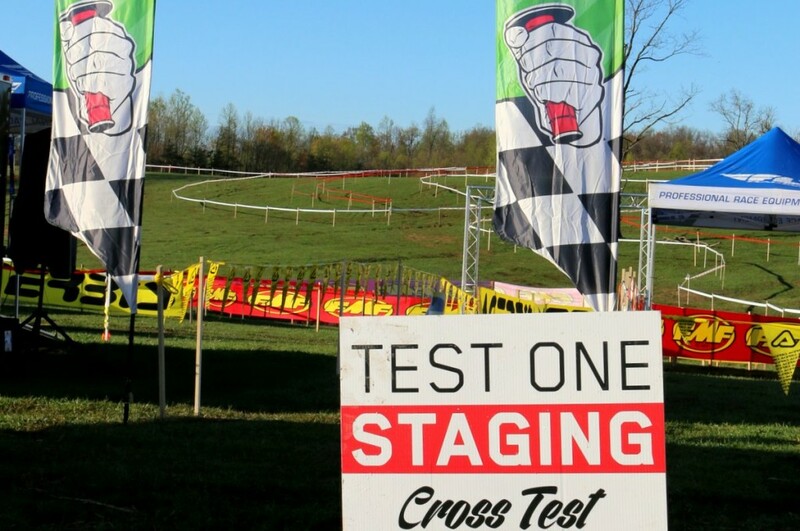 The format consisted of 14 separate timed Enduro and Cross sections; the Enduro loop was approximately 4 miles of woods and the Cross section was 3 miles of pure grasstrack. After the first day of racing Lagzdins sat in 3rd place in the Senior E4 Class. Brian Storrie, a 10 time ISDE Veteran, led the class followed by another ISDE Veteran, Pat Flynn. Flynn was a mere 26 seconds ahead of Lagzdins at the end of the first day. During the first Enduro section of day two Flynn went down allowing Lagzdins to make up the time deficit and then some, eventually finishing 36 ahead of Flynn in the final overall standings. For more info check out www.fullgasenduro.com. « THROWBACK PHOTO OF THE WEEK!